Throughout history, there have been all sorts of kings who all had all sorts of habits. King George of France thought that he was made of glass and could shatter at any time. Mustafa of Constantinople would pull the beards of his advisors for a lark. Some monarchs focused on building the biggest and the most beautiful palaces. Others hired artists to write operas about their reigns. But none of them, not even one, could celebrate Halloween quite as well as the Pumpkin King. 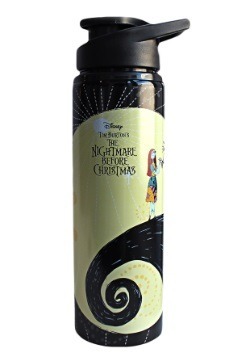 The title of Pumpkin King is where it's at. 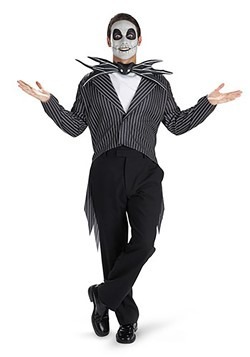 Jack Skellington doesn't micromanage, harass his subjects, or raise taxes. He simply makes sure that all the spooks and scares are ready when October 31st rolls around. Wouldn't it be great if all the kings did such a great job? 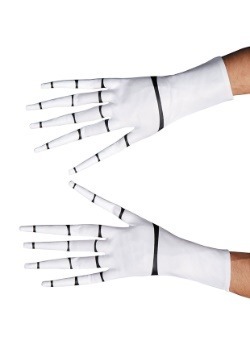 The best part of the Pumpkin King role? 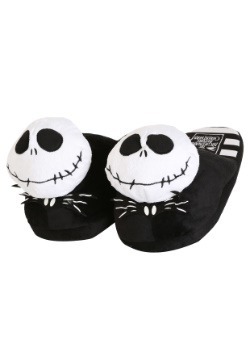 Dressing up as Jack Skellington can be oh so cozy! 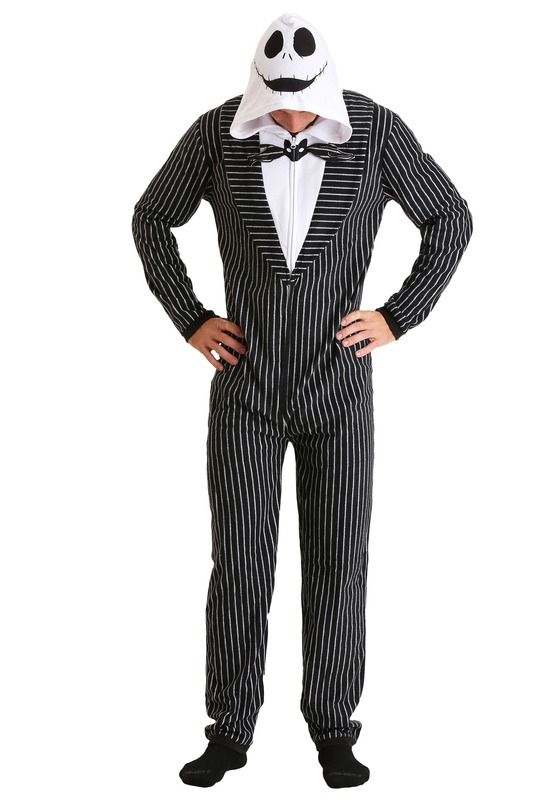 The soft fleecy texture of this union suit features pinstripes and a dashing tuxedo design without any of the stiff, restricting fit. 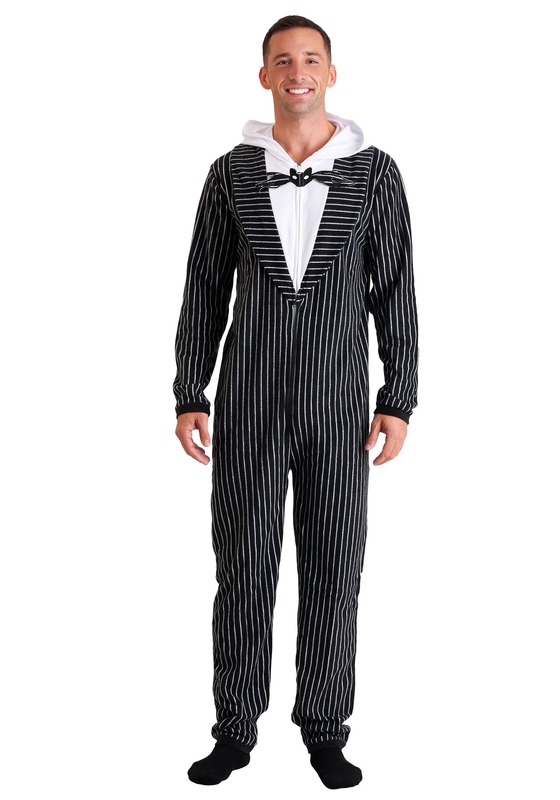 It also has a bat bow tie at the neck and a hood with the grinning face of Jack Skellington printed on the surface. 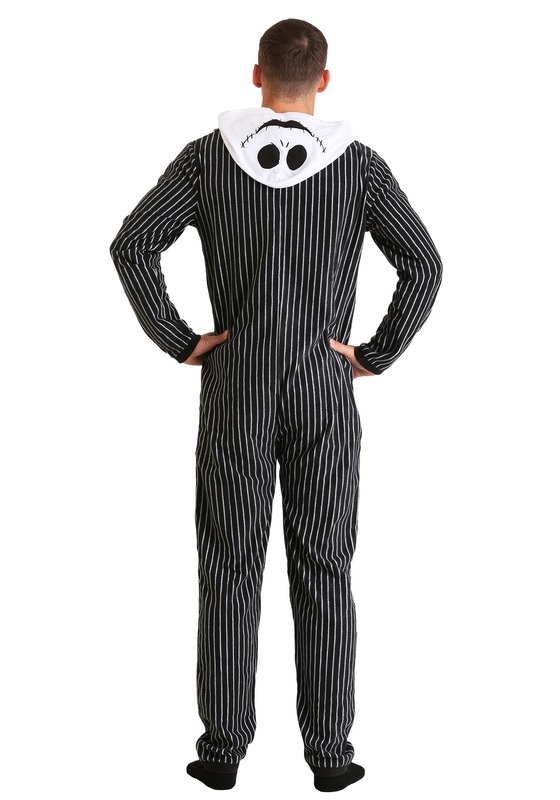 Whether you're out with trick-or-treaters or plotting Halloween tricks at home, this licensed costume from the Nightmare Before Christmas costume will make you into instant Halloween royalty! 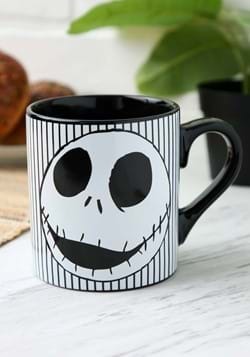 With Jack around, everyone can be sure that the scariest day of the year will be full of fun and flavor! Zip up this suit and you'll be ready to go. Want to take it to the next level? 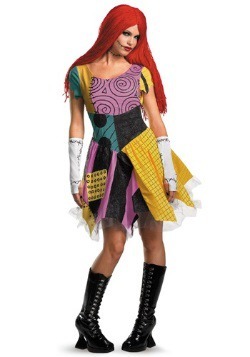 Have your friends dress as Sally, the Oogie Boogie Man, and even the trick-or-treaters to make it a group costume. The king of Halloween ought to have an entourage, after all!